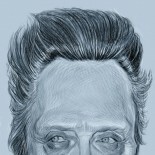 Walken in Short: This is essential Walken. He is spectacularly sinister and crazy intense. 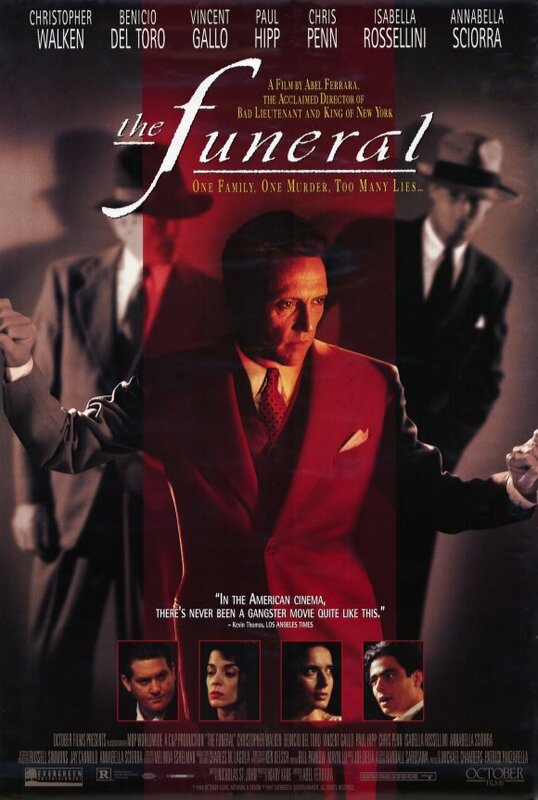 Film in a Sentence: Ray Tempio (Walken) is the vicious head of a 1930’s New York crime family whose youngest brother just got killed in a drive-by, so now him and his remaining family grieve, argue, and flashback to how this all came to be. 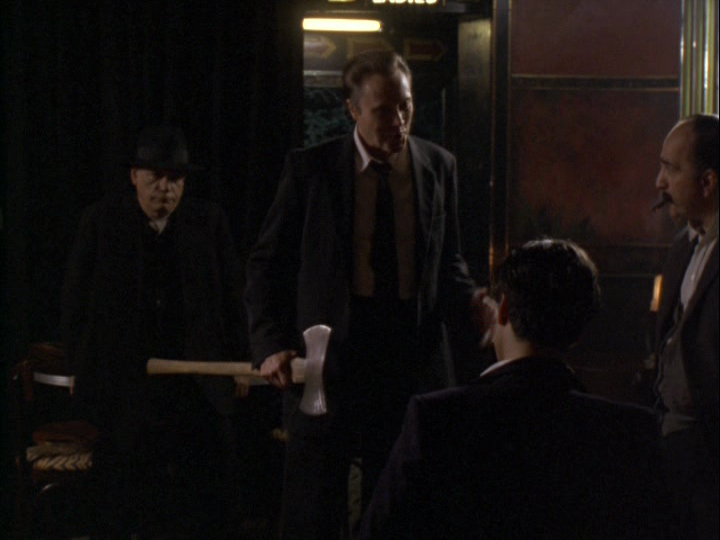 Director: Abel Ferrara, written by Nicholas St. John – Both men have a history working with Walken: King of New York (1990) and The Addiction (1995). After this film Walken and Ferrara made one more film ‘New Rose Hotel’ (1998). Similar Films That Also Star Walken: Basically any of Walken’s crime-boss films: King of New York (1990), At Close Range (1986), Day of Atonement (1992). Actors Other Than Walken (w/ other Walken films in parenthesis): Chris Penn (At Close Range, True Romance), Anna Sciorra (The Addiction, New Rose Hotel), Isabella Rosellini, Vincent Gallo (Basquiat) , Benicio Del Toro (Basquiat, Excess Baggage), Victor Argo (McBain, King of New York, True Romance, New Rose Hotel), David Patrick Kelly (Last Man Standing, Gretchen Mol (New Rose Hotel). Available to Own: VHS and DVD. No Blu-ray yet. But I eagerly await the day. Walken Content: 80%. 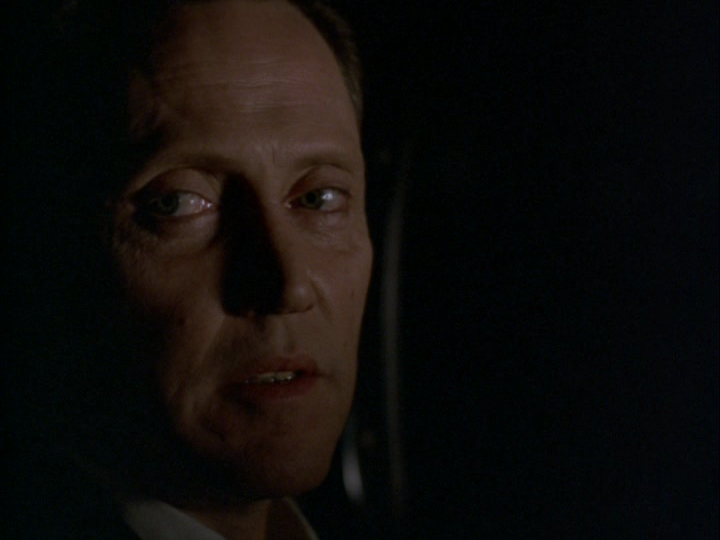 Walken has a prominent role with a steady supply of lines throughout the film. Should You Watch This? Yes. This is a criminally under-rated film that is filled to the brim with recognizable stars and memorable movie-moments. This film is not for the squeamish nor for those needing endearing characters or happy endings. This is a dark film with some pretty grim scenes. But there is humor to be found here and there even if it is a maudlin, cynical humor. What’s Next? Up next, Walken has a supporting role in the Alicia Silverstone and Benicio del Toro romantic-crime/comedy ‘Excess Baggage’. Hey, Todd, I noticed this is your most recent post. Are you still out there? I like your blog. I’ve been using it to mine CW’s earlier films. Say something so we know you’re alive. Thanks for the kick in the pants, Liza, and the compliment. More is on the way! Hey, Todd. Glad to see you’re still out there. So what have you been up to? Writing a screen play? Your reviews have been most helpful. For some reason, I seem to have missed most of Christopher Walken’s post-The Deer Hunter career. Part of the reason was that I spent so much time (years) on classic films, mostly 1940s. Then last fall I happened to see The Dead Zone on TV and wanted to see more of his films from around that time and that’s how I found your blog. Looking forward to reading more of your reviews when you post again. Thanks for the reply. This entry was posted on May 2, 2018 by Something Something (todd) and tagged Abel Ferrara, annabella sciorra, benicio del toro, Christopher Walken, crime film, crime-boss, gangster movie, necessary Walken, prohibition era, Victor Argo, Walken Chronicles, Walken Film Review.